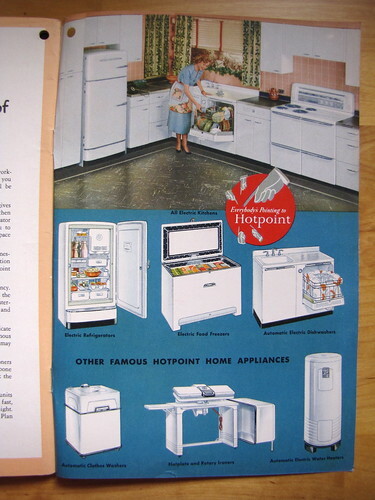 Here’s a Life magazine ad for a similar Hotpoint stove from a couple of years earlier. And here’s a 1937 article on using the frying basket that came with the Thrift Cooker. 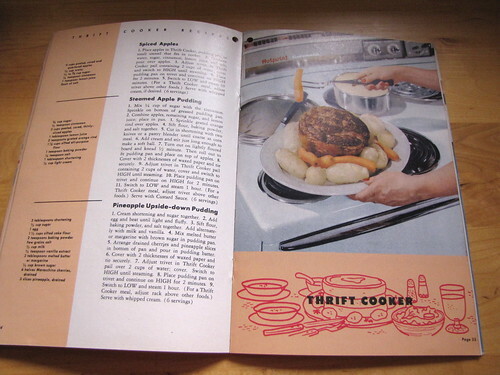 I am old enough to remember my Mother using the thrift cooker or as she used to say it was the “deep well”. So many of our meals came from that well. It was clean and out of the way and there was no need to have to worry about a place to store the slow cooker. 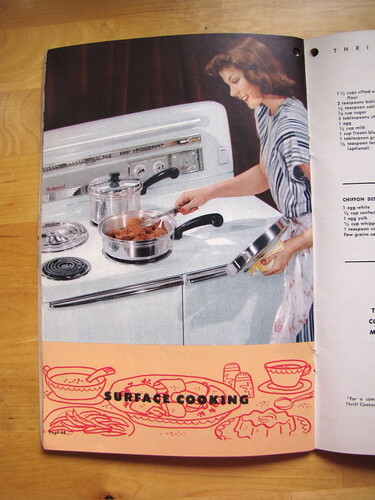 I too just happened to come upon an old booklet titled Simplified Cooking Instructions for Using Your General Electric Range that also contained all the things you mentioned and I would gladly change my electric range for it any day. I think the date on this is 1954. Thrift cookers appear to have been common for 30 years or so. 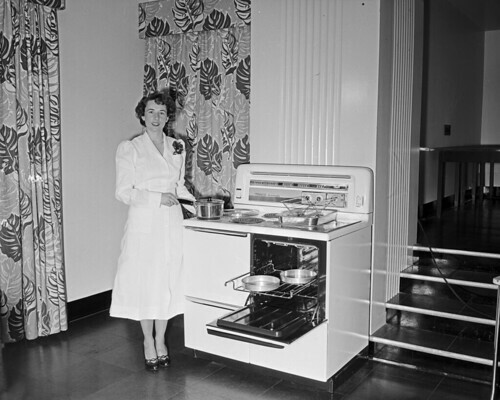 I wonder why they stopped making stoves with them. Or did they? I haven’t seen any recent stoves with them, but I suppose there might be one somewhere. 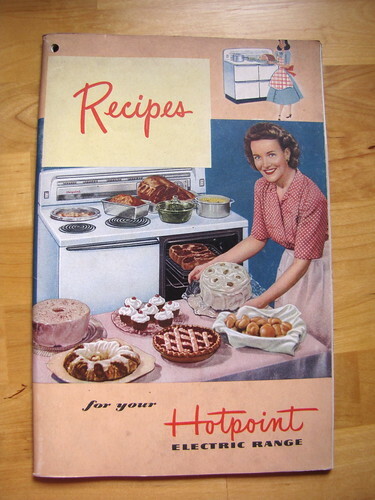 my mother in law had a Hotpoint 1940s range and used to make a meat spaghetti recipe from the “recipe” book that came with her range. She has lost the recipe and would appreciate having it again. One thing she remembers is that the last item on the recipe is to add a “clove” to the spaghetti. Any chance, this recipe is in your Hotpoint recipe book? My Mom just passed away and I found a Thrift Cooker recipe page. The Spaghetti and Meat Sauce recipe is on the page and it calls for 2 whole cloves. Hope this helps.